Everyone’s air conditioning needs are different, depending on where you live, the type of dwelling you live in and whether or not your location’s climate warrants heating, cooling or both. And choosing the right type of air conditioner for your home can be confusing, particularly because your choice can also affect your energy bills (and therefore your back pocket!) as well. Here are five things to consider before buying an air conditioner. Wall/window: The cheapest of the four, these are usually installed in a window or external wall, and they can usually cool rooms up to about 50 square metres. These types of units are pretty much phasing out as the split-system becomes more affordable. Split-system: Split-system air conditioners have two parts – an indoor unit connected by pipes, and an outdoor compressor unit. They can usually cool one or more rooms up to around 60 square metres. 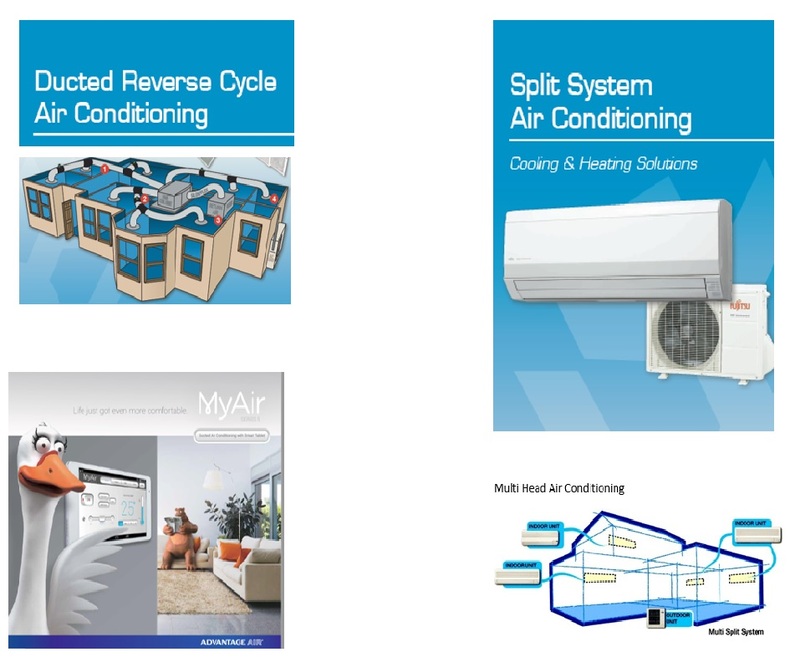 Multi-split: These are a type of split-system air conditioner that has one outdoor unit connected to two or more indoor units. These units offer a great way to cool or heat two or three rooms that are fairly close together, where separate split-systems or a ducted system is not an option due to space limitations. Ducted: Ducted air conditioners are the most expensive option but the best for temperature control in a large home. This system consists of a central unit that is connected by various ducts to air outlets and sensors in each room. It is run by a control panel that allows you to set the target temperatures and the zones of the house that you’d like to cool or heat. Inverter air conditioners: Most split-system units these days are inverter models, and these vary the compressor speed, meaning the compressor (in the outdoor unit) doesn’t need to switch on and off continuously – it just speeds up or down as need demands. Because of this less electricity is generally used, meaning they’re pretty efficient and cost less to run. Non-inverter air conditioners: Also known as conventional air conditioners, the compressor in the outdoor unit is either turned off or is on at full power, and it switches on and off as need demands. These can be cheaper to buy, however they aren’t as efficient as they use more power to start up each time. Reverse-cycle air conditioners: These models heat in winter and cool in summer, and while the purchase and installation costs are high compared to an electric heater, they’re among the cheapest and most effective forms of heating large spaces over a long term. Cooling-only air conditioners: If you live in an area with hot summers and mild winters and only need air con in summer, then a cooling-only system is worth considering. They’re generally cheaper than reverse-cycle systems. Aim for an energy efficient house: Try and make your home as energy-efficient as possible by opening doors to let breezes in, closing doors to keep the cool in, adding blinds to windows that face the sun, maintaining your air conditioner and using ceiling fans as well. On a really hot day you might be tempted to turn your air con way down to 20°C to get the room cool as quickly as possible, however if you can cope with setting the temperature to 24°C, you’ll not only save on the motor’s wear and tear, you’ll save big money on your energy bill. The same principle applies in winter – if it’s 10°C outside, try setting the indoor temperature to 19°C. Each degree you add to cool a room in summer or warm it in winter can add around 10% to your running costs! Star-rating labels: These have been developed by the Australian government and give information about how different air conditioners perform in different zones of Australia, making it easier to choose a model best suited to where you live. Once you’ve worked out what capacity you need, you simply compare the star ratings of models of similar capacities – the more stars, the lower the running costs and greenhouse gas emissions. Fan speeds: A unit’s fan circulates cooled or heated air around the room. You should look for a model with a wide airflow range and multiple fan speeds, which should go from very high to help the room cool down quickly, to very low so there’s less noise once you have the right temperature. Thermostat (temperature setting): This allows your air conditioner to deliver the target temperature. Generally, you just set your desired room temperature and the thermostat measures the indoor temperature and adjusts the air conditioner output accordingly. Still confused about what sort of air conditioner you should buy? Get in touch with H&H Air Conditioning today on (07) 3276 1800 (Brisbane) or (07) 5477 1777 (Sunshine Coast).